To view the full range of frames available, please download the Berker Business Solutions Catalogue. The Berker Frames offer three different, modern design variations – Integro Flow, Classic and Pure. They are available in a variety of colours – anthracite, white, black, brown, grey, red, green, orange, chrome and stainless steel and a variety of surfaces – matt, glossy, lacquered and galvanised. 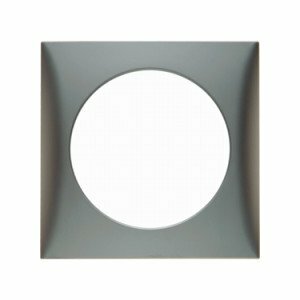 These frames snap fit on to the Berker sockets and switches as part of the Berker modular product concept. The Berker frames are available in 1, 2 and 3 gang versions and are suitable for horizontal or vertical mounting. The 1 gang frames can be supplied with a hinged cover and seal to offer IP44 protection. Frames may be customised with labelling fields if required. Please browse our products and call 01258 456360 if you have any questions or need technical assistance. As the official UK distributor for Berker socket outlets, Alan Butcher Components is proud to present this beautifully designed, versatile product range. The small dimensions of the sockets and their low installation depths ensure they are suitable for a wide variety of applications. Most notably, Berker offers a wide range of international socket outlet systems ensuring applications can reach a global market. 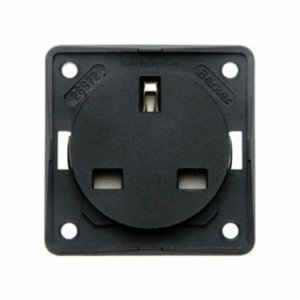 Whether you need a SCHUKO socket, a NEMA socket for the USA/Canada or a British standard socket outlet, we are able to supply it. The Berker Integro range also includes sockets for modern communication systems such as USB charging sockets, HDMI sockets and TV/SAT sockets. These sockets, combined with the Berker Integro frames, offer a modular product system which ensures continuity of design. 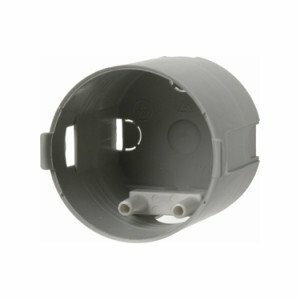 This, along with their reputation for high quality and durability, ensures Berker socket outlets are a preferred choice for many of our customers. Please browse the sockets range and call 01258 456360 for assistance or to request a quotation. To view the complete Berker range, please download a copy of the Berker Business Solutions catalogue. Alan Butcher Components is the official UK distributor for the Integro range of Berker Switches. The Berker switch system is an integral part of the Berker modular product concept. Combining a Berker switch with a Berker frame ensures design continuity and standardisation for a wide variety of applications. 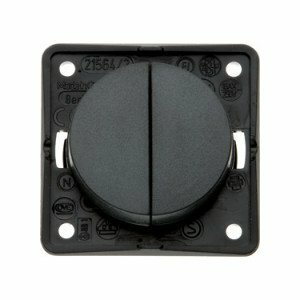 We supply rocker switches, push button switches and twin switches. Switch functions include on-off, momentary, changeover, and reverse polarity. The Berker switches can be supplied with standard imprints ie step, awnings, arrows or printing can be customised if required. Switches with a red dot LED are available in 12V or 250V. Applications include caravans, motor homes, boats, kitchens, laboratories and office furniture. The compact dimensions (55.5mmx55.5mm) ensure this switch range is suitable for designs where space is limited. Please browse the Berker switches range and call us on 01258 456360 for further information or assistance. Alan Butcher Components Ltd. is the UK distributor and agent for the Berker Integro range of socket outlets and switch systems. These Berker sockets and switches are ideally suited to the caravan, motor home and boating industries as well as the kitchen, bathroom, healthcare and office equipment markets. Design – compact dimensions (55.5mmx55.5mm) and minimal installation depths, offer a modern solution to applications where space is a premium. Also, the extensive range of international sockets enables design continuity for products aiming to reach global markets. Modular Product Concept – combine an insert with a frame to form a complete product. There are three design options to choose from Integro Flow, Integro Classic and Integro Pure. Quality – these products are widely known for the quality of manufacture and their reliability, particularly within demanding environments. Installation – quick and easy, with no requirement for special tools. Flexibility – wide range of contemporary colours to suit a variety of applications. Call us to discuss your design requirements or click to complete our enquiry form. You can also download a copy of the Berker Business Solutions Catalogue here.